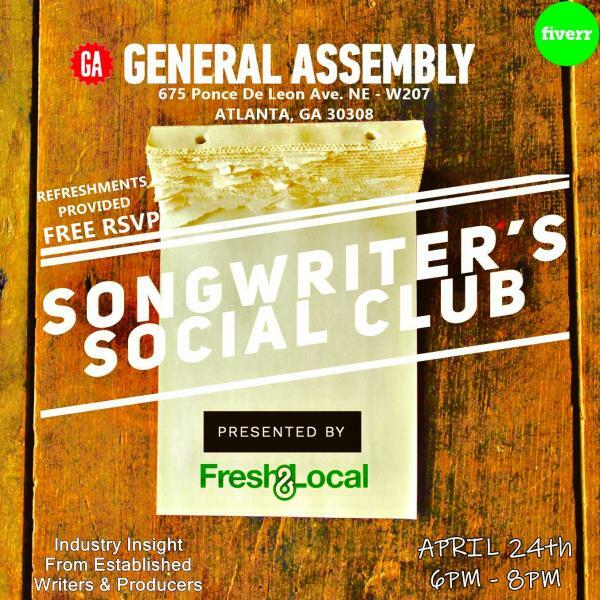 We’re proud to present the Songwriter’s Social Club in partnership with Fiverr & General Assembly! This discussion will give artists/songwriters/producers some insight about the business of songwriting + the opportunities available such as sync/licensing, writing for other artists, the importance of PRO companies like BMI, ASCAP, SESAC, pros + cons of publishing deals, and more. Special Guests: Scott Taylor, Jr (Platinum Engineer/Songwriter), Emoni Aikens (Singer/Songwriter), Matthew Steele (Founder of SteeleSync – music licensing company), Farah Allen & Aaron Neal (The Labz – music collaboration/publishing rights management platform).